Airlines are usually try to make their planes as light as possible and in this process, everything can be considered as a candidate. This was the idea that sparked in brains of people in startup called Expliseat. This startup is a French company and they make a new type of seats for one of the best companies in the aerospace world. They are making lighter seats for Boeing. 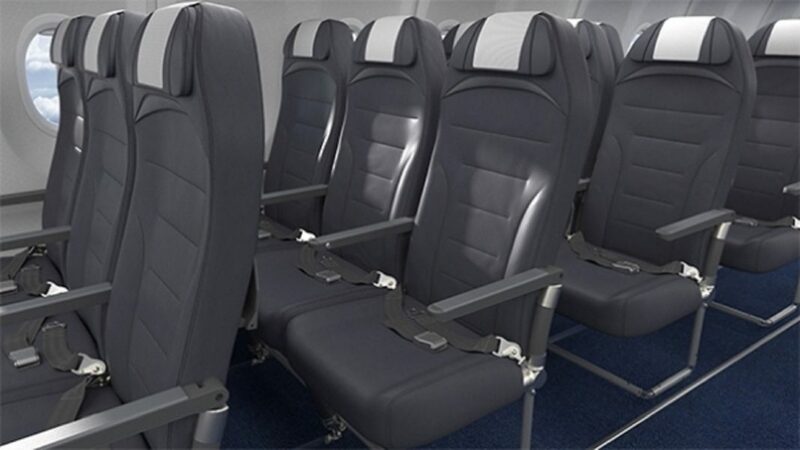 As the matter of fact, Expliseat started to make seats for Boeing 737 which can reduce the total weight dramatically. But these type of seats are not exclusive to Boeing 737 and Expliseat started his way long before this project. Their light weighed seats are already in use in Airbus A320 and ATR 42/72 cabins. They have started building their seats using titanium-composite for Boeing 737. These seats are called Ti Seat E2 and there are 60 percent lighter than normal Boeing seats. But this weight reduction won’t make the safety measures less than current seats. These seats can reduce weight by 5 kilograms and they can end up making the total weight by approximately 1.7 metric tons on the whole plane. It not clear yet when these seats will appear in real 737 flights but the contract is done and this French startup will save a huge amount of fuel consumption for airlines. This project may lead to major change in seat design for upcoming planes and reduce the level of carbon generated by airplanes worldwide. That’s why Expliseat turned into a hot name in airplane and startup news these days. You will definitely hear more from Expliseat in the future and this French startup is showing us how to look at something which already looks perfect and make it more useful and better to use for the world.